CHECK THIS OUT!! Incredible opportunity to own this Beach Cottage Style home with 3 bedrooms, 3 bathrooms, a separate office and 1,980 sq ft. This home is also in a NO HOA area. 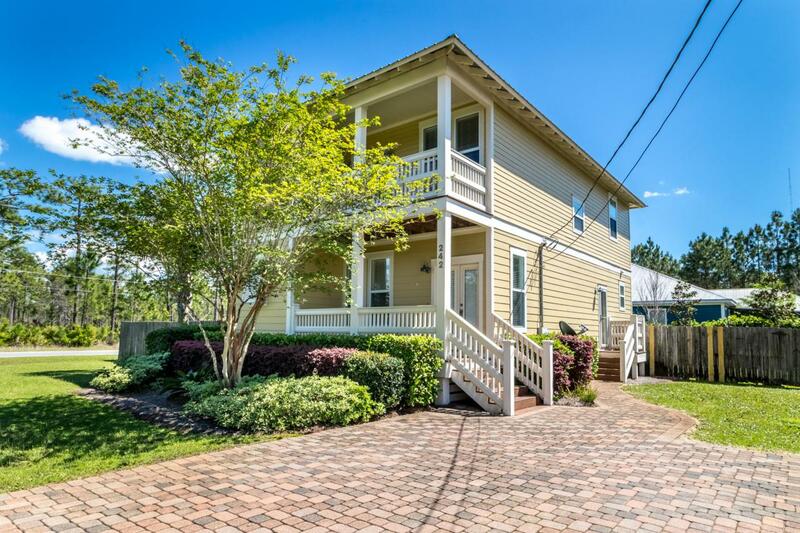 This spacious coastal home is bright and airy with fresh paint throughout. The open concept living, kitchen and dining feature beautiful hardwood floors and crown molding. A large master suite with custom en-suite and private balcony, along with two guest rooms are located on the 2nd level. The fully fenced yard features a separate shed and plenty of room to store a boat. 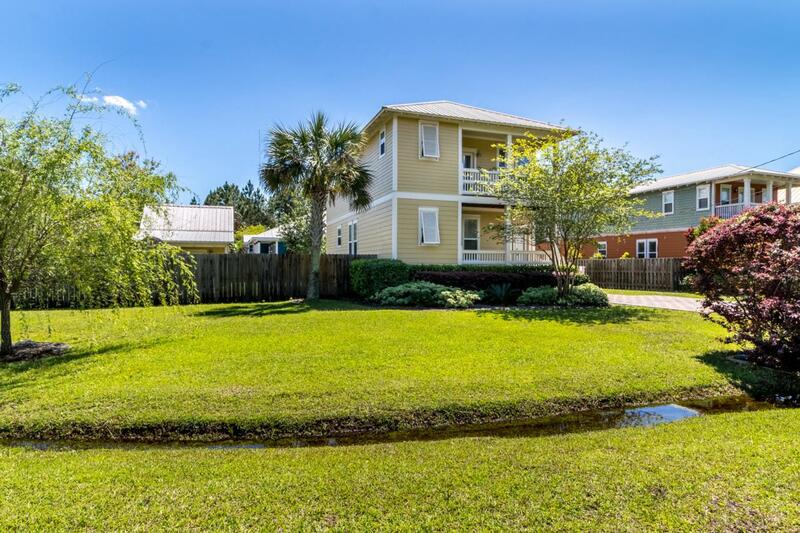 Only a few miles to Sandestin, Grand Boulevard, Sacred Heart Hospital and public beach and bay accesses, this home is centrally located to all Santa Rosa Beach has to offer!The front porch entry opens to the open living and kitchen area with multiple windows bringing in lots of natural light. The kitchen provides ample storage with wood cabinetry and a separate pantry and features granite counters, stainless steel appliances, a French door refrigerator and a breakfast bar with seating room for 6. Off the kitchen is a separate office, that can be utilized at 4th bedroom, and direct access to back porch. Also on the 1st level is a full bath with a glass and tile tub/shower combo, white cabinetry, Corian countertops and oversized porcelain floor tile. The laundry area on the first level fits full size washer/dryer. The oversized upstairs master suite has plush carpeting, crown molding and a private covered balcony. The master en-suite bath features oversized tile flooring, an expanded glass and tile shower with mosaic details and a rain shower head, white cabinetry and Corian countertops. A large walk-in closet features lots of shelving. Two guest bedrooms, each with a walk-in closet, share access to a Jack-and-Jill bathroom that has a glass and tile tub/shower combo and double vanities. This home has great curb appeal with an oversized paver driveway, covered front porch and covered balcony. The large corner lot boasts a fully fenced back yard with drive gate wide enough for a boat, mature landscaping and an irrigation system. A separate shed with its own covered porch could be used for storage or converted into an in-law suite. The low maintenance cement hardiboard siding and metal roof withstands Florida weather. A new AC unit was installed in 2017. 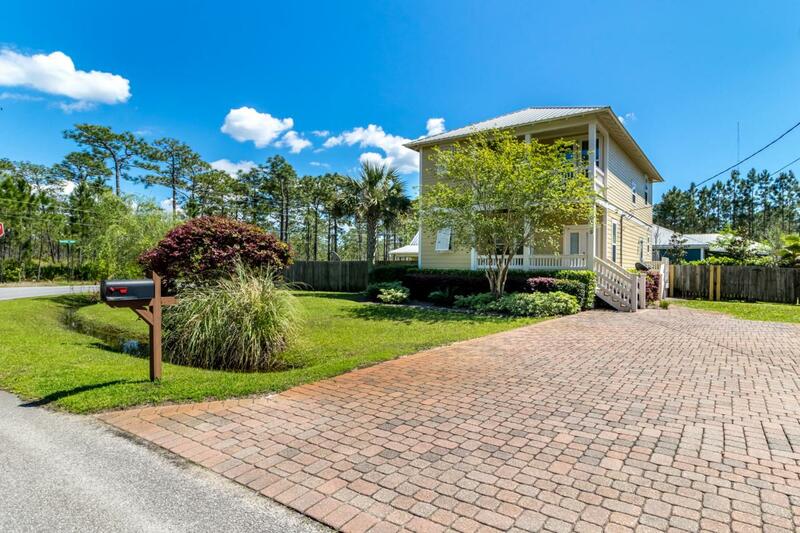 242 Lamb Drive is less than 6 miles to closest public beach access, 3.5 miles to Van R Bultler Elementary, and just 2 miles to Grand Boulevard, Tops'l Beach and Racquet Resort and Sandestin.